LESS FAT - 1/3 Less Fat than Cream Cheese. 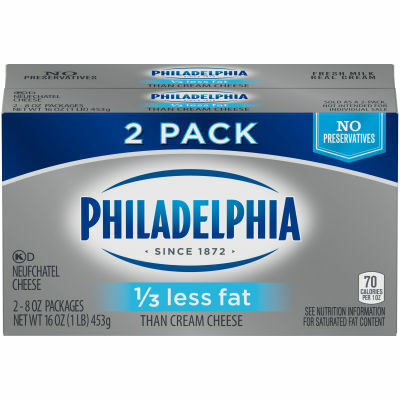 Fat per Serving: This product, 6g; Cream Cheese, 9g. Our story begins with local dairy farmers near Beaver Dam, WI and Lowville, NY who take pride in their products. They supply Philly with fresh milk, which we combine with real cream. The entire process from farm to creamery takes just six days. But we don't stop at farm fresh milk and real cream. We also never add artificial preservatives, flavors or dyes in our cream cheese. So in the end, everything just seems a little bit better with the creamy taste of Philly.